The mission of the UC Santa Cruz Center for Agroecology & Sustainable Food Systems (CASFS, the Center) is to research, develop, and advance sustainable food and agricultural systems that are environmentally sound, economically viable, socially responsible, nonexploitive, and that serve as a foundation for future generations. Center staff work toward this mission under several program areas: education, social issues research, agronomic research, and public outreach. The Apprenticeship in Ecological Horticulture is an educational program of the Center focusing on practical training in organic gardening and small-scale farming, as well as increasing awareness of the dynamic connections between food and social systems. The six-month Apprenticeship offers instruction and daily work experience in organic gardening and farming, focusing on ecological interactions amongst plants, soils, climate, insects, and pathogens. It also fosters an analysis of the political, economic, and cultural roots of our current food system and provides space to explore how we might shift into a future that supports both people and planet. In a hands-on education approach, apprentices work alongside staff and members of the agroecology fellowship program (AFP) in the greenhouse, gardens, fields, and orchards, as well as attend lectures, demonstrations, and field trips. Apprentices are exposed to the different aspects of growing plants organically on both a hand-dug garden scale and a tractor-cultivated field scale. The apprentices selected to attend the course each year are interested in practical training that will prepare them to teach others and/or to run their own operations. Since 1967, more than 1,500 graduates have gone on to apply this training in a variety of ways around the world: developing their own commercial farms, market gardens, and Community Supported Agriculture (CSA) projects, starting inner-city community gardens, working as environmental educators, participating in international rural development projects, managing organic landscaping businesses, and pursuing degrees in agricultural studies. The goal of the Apprenticeship is to increase the number and diversity of individuals who have a command of the fundamental skills and concepts associated with organic horticulture and agriculture, such that they will be prepared to actively participate in commercial or social service projects that aim to improve human health and environmental quality through organic practices. The structure and content of this program have provided a huge amount of information in a very absorbable context . . . thanks again. Located at two different sites on the UC Santa Cruz campus, the 30-acre Farm and 3-acre Garden serve as the facilities for the Apprenticeship and other activities of CASFS, which include undergraduate and graduate classes, research, and public tours. Although the Farm and Garden are situated less than a mile from one another, they differ in soils, topography, microclimate, and history. Apprentices are exposed to different management strategies at the two sites. The Garden was established in 1967 by the late Alan Chadwick, a master horticulturist who pioneered both an organic gardening method and an apprenticeship model. The Garden is where the French-intensive method of horticulture first gained recognition in the United States. Under Chadwick's direction, a cadre of dedicated student and community volunteers transformed a steep, brushy hillside into an incredibly diverse garden that stands as a graphic example of how marginal land can be transformed into a productive garden. Propagation and cultivation of a wide range of annual and perennial flowers and vegetables, many of them uncommon to most gardens, are a major focus of activity at the Garden. In addition, there is a diverse collection of deciduous and evergreen fruit trees. Buildings on site include a greenhouse, two propagation hoophouses, and a small chalet used for lectures, discussions, and meals. In 1971, the 30-acre Farm was established as an extension of the Garden in order to increase the area under cultivation and to include row crops and orchards. Located on a lower meadow of campus, the Farm's gardens and fields support several acres of vegetable and fruit crops, perennial and annual flowers, and herbs. A wide variety of apples, pears, plums, kiwis, and persimmons grow in the Farm's two acres of orchards. The 10 acres of tractor-cultivated fields includes crops for the Community Supported Agriculture (CSA) project, and new fields were brought online in 2014 to increase production for the campus dining halls. The 1.5-acre hand-dug garden area features vegetables, flowers, and herbs for the direct-market stand, as well as a demonstration nutrition garden. Four acres of research fields are used by CASFS researchers, graduate students, undergraduate classes, and UCSC researchers. Farm facilities include a handcrafted barn, a potting shed/lath house, modern greenhouses, packing shed, reading room, tent cabins, solar showers and the Farm Center. Designed and built by students, the Farm Center is used for meals and socializing. The Louise Cain Gatehouse serves as a multi-purpose building for lectures and meetings. Also at the Farm site are the laboratory and administrative offices of the Center for Agroecology and Sustainable Food Systems (CASFS). In 2016 the renovated Cowell Ranch Hay Barn, located next to the Farm, will open for use by Apprenticeship classes and other CASFS activities. Through the years, the apprentices and their instructors have been primarily responsible for maintaining and strengthening the Farm and the Chadwick Garden. The increased soil fertility and wide diversity of plant species found at the Farm & Garden are a testament to these many years of labor and love on the part of past apprentices. Growing Methods — asexual/sexual plant propagation, greenhouse techniques, crop planning, French-intensive bed preparation, transplanting and sowing, crop care, cultivation, seed saving, and irrigation. Botany and Crop Culture — botanical characteristics and cultural requirements of specific vegetable crops, herbs, flowers, fruits, and trees, and how they may be combined in a farm or garden. Soils — soil physical properties, soil/plant interactions, soil fertility management, soil testing, composting, and cover cropping. Pest and Disease Management — management of weeds, vertebrate and invertebrate pests, and plant pathogens in organic systems. Marketing — harvest and post-harvest handling, marketing strategies and outlets, direct marketing through Farmers Market-style produce stand, and Community Supported Agriculture (CSA) management. Environmental Issues in Agriculture — brief survey of modern agricultural production’s effects on environmental quality. Social Issues in Agriculture — historical and contemporary overviews of the dynamic and fluid manner in which the modern food system has been shaped by and contributes to various social, political and economic structures. Much of the learning in this program happens through the doing. Garden and field work provide time for ongoing instruction, practical demonstrations of horticultural methods, structured work sessions, informal walks and talks, questions and answers, and observations before, during, and after work hours. Whole group classes, lectures, and workshops provide the opportunity to disseminate core information to the entire group and to provide the theoretical background for the skills being taught in the gardens and fields. Visiting speakers, brought in to increase the range of topics covered, are drawn from the rich pool of agricultural scientists, extensionists, farmers, and gardeners in our area. and demonstrations, allowing for students to have a more interactive learning experience. During the six-month program, apprentices take field trips to different farm and garden operations. Opportunities abound for apprentices to organize their own informal field trips to interesting horticultural and agricultural sites in and around the Santa Cruz area. Chadwick Garden Manager Orin Martin has run the Alan Chadwick Garden since 1977, acting as a main instructor for the Apprenticeship course as well as instructing UCSC undergraduates through classes and internships. Orin also teaches workshops and writes extensively on horticultural topics for the general public. His special interests lie with fruit trees (stone, pome and evergreen), garlic, roses, the weather, and baseball. Farm Garden Manager Christof Bernau has been part of CASFS since coming to Santa Cruz as an Apprentice in 1994 and has been an Apprenticeship instructor since 1999. Christof has extensive experience in nursery management, propagation, vegetables, and specialty cut flower production. He is especially interested in nutritionally dense crops, small-scale grain production, the cultivation of small fruits, and creating a learning/growing environment where everyone can thrive. He holds a BA in Asian History from Reed College and an MA in Equity and Social Justice in Adult Education from San Francisco State University. Farm Site and Research Lands Manager Darryl Wong joined the staff in 2013. Darryl helps to manage the tractor cultivated fields at CASFS, and, in addition to working with the apprenticeship, coordinates the faculty-led research trials and undergraduate/graduate student classes and projects. Before joining CASFS in spring of 2013, Darryl co-owned and operated Freewheelin' Farm, a seven-acre, mixed vegetable operation that sold produce via CSA, Farmers’ Markets and direct to restaurants/grocery stores in San Francisco and Santa Cruz. In addition to his role at CASFS, Darryl is concurrently enrolled in the Ph.D. program at UCSC where he is studying the economic viability of California certified organic farms. Apprenticeship instructor Sky DeMuro is a graduate of the Apprenticeship and joined the staff in 2014. Her background includes development and communications work with Farm Aid. Moving from the computer to the tractor, Sky immersed herself in learning the nuts and bolts of organic farming at Drumlin Farm in Massachusetts before moving West to work for Pie Ranch, and educational farm located in Pescadero, California. She also co-managed a diverse 7-acre farm near Santa Cruz with two other CASFS alumni. As a passionate farmer, gardener, and instructor, Sky shares her knowledge of soils, cropping systems, and marketing skills while advocating for socially just food systems. Apprenticeship instructor Kirstin Yogg helps manage the Hay Barn and Quarry Fields at the UCSC Farm. A graduate of the program, she joined the CASFS staff in 2014 after years of running her own mixed vegetable CSA farm and wholesale operation that she ran with current CASFS work partner, Darryl Wong. At CASFS she manages interns and apprentices in vegetable production for marketing to UCSC's Dining Services and the Santa Cruz community. Kirstin is excited to use her own farming skill and experience to help apprentices develop the tools to vision and execute their own projects. Apprenticeship instructor Kellee Matsushita-Tseng is a graduate of the Apprenticeship and joined the staff in 2016 to help manage the handworked garden areas at the CASFS/UCSC Farm. While organizing healing retreats for women and queer folks of color, Kellee started to understand the power of being able to access healthy and nutritious food, and the enormous potential that food holds for building and healing community. She is especially interested in seed conservation and preservation, and the links between genetic biodiversity, cultural diversity, and collective liberation. Apprenticeship instructor Brent Walker is a graduate of the Apprenticeship and joined the staff in 2017 to help manage the production fields at the UCSC Farm. After his Apprenticeship training, Brent worked at Phat Beets and Planting Justice in the East Bay. Apprenticeship Coordinator Diane Nichols has been on staff since 2002, after being an apprentice and second-year apprentice (in propagation!). Prior, she worked as the Executive Director for the Urban Outdoor Adventure Center in San Francisco, then as Executive Director of Big Brothers Big Sisters of Marin and Napa Counties. She has an M.A. in nonprofit management from the University of San Francisco. After many years of volunteering as a master gardener and composter, she came to the apprenticeship to pursue her passion for introducing communities to healthy, fresh, accessible food. Fundraiser Ann Lindsey does grant writing and other fundraising for the Apprenticeship, primarily from her home in Anchorage, Alaska. Previously she was the Apprenticeship Coordinator for seven years, worked for Life Lab Science Program, and managed a garden for a non-profit education center. CASFS Program Assistant Vanessa Ackermann joined CASFS from UCSC's Physical and Biological Sciences Division in 2017. She serves as a key liaison for communication and operations amongst CASFS program areas and as lead public contact for the CSA project. As part of their fellowship training, agroecology fellows assist with class instruction and site management, under close supervision by the field and garden staff. Traditionally, five to seven fellows are selected via an application process at the end of the Apprenticeship in October. The fellowship extends through October of the following year. CASFS Executive Director Dr. Daniel Press is an expert in U.S. environmental politics and policy. His research interests also include social capital and democratic theory, industrial ecology, land and species conservation, and regionalism. Press joined UCSC's environmental studies department in 1992 and was the initia recipient of the Olga T. Griswold endowed chair in environmental studies. He served as environmental studies department chair for six years. has enabled her to use her skills and training in new ways. CASFS faculty affiliate Dr. Stacy Philpott is an agroecologist interested in community ecology, ecosystem services, urban agroecology, and interactions between agriculture, conservation, and farmer livelihoods. Stacy has worked for more than 15 years to understand how farm management, the landscapes surroundings farms, product certification, and land tenure influence diversity of insects, plants, and birds on farms, and the ecological interactions among species. She holds the Alfred and Ruth Heller Chair in Agroeocology and is a professor in the environmental studies department. The Apprenticeship is full-time (40 hours a week) and runs continuously from mid-April to mid-October. In 2020 the program begins on April 13. Most program activities take place Monday-Friday, but apprentices need to be available for occasional weekend greenhouse and watering duties (on a rotational basis), for our annual Spring Plant Sale, and the annual Fall Harvest Festival. Apprentices have a 5-day break approximately mid-way through the program. This is a full-time program involving strenuous physical work five days a week. The program's work, class, and activity schedule is generally from 8:00 AM (though can start as early as 7:30 AM or as late as 8:30 AM depending on weather and harvest needs) - 12:00 PM and 1:00 PM - 5:00 PM on weekdays. Apprentices are expected to participate fully in the program by being available for those hours every day. Examples of daily activities include bed preparation, transplanting, seed sowing, watering, weeding, thinning, composting, harvesting, produce handling, storage, and marketing. Rotational positions of responsibility, such as cooking, cleaning, greenhouse managing, watering, and market coordinating tend to require different and/or longer hours. Because of the long hours spent working and studying, apprentices are strongly discouraged from holding part-time jobs or enrolling in school part time. Apprentices will get the maximum out of this experience by coming prepared - financially, physically, and emotionally - to make the program their singular focus for the six-month period. We will accommodate individuals with disabilities in accordance with the Americans With Disabilities Act. However, if an applicant has a temporary health condition (e.g., broken leg) that might seriously affect his or her participation, we ask that the applicant reapply another year. Produce from the Farm & Garden is primarily marketed two ways: at a roadside stand on campus (the Market Cart) and through our Community Supported Agriculture (CSA) program. Twice a week from June through October, apprentices are responsible for harvesting, packing, weighing, setting up the marketing area, and selling the produce. Through our CSA program, local residents subscribe to the Farm & Garden and receive a weekly share of produce harvested by apprentices. Care, harvest, and storage of field and orchard crops require intensive labor on the part of all the apprentices, especially in the second half of the program. Apprentices take on the job of marketing coordinator or CSA coordinator on a rotational basis. Responsibilities for coordinators include organizing and overseeing harvests, keeping supplies in stock, setting up the marketing area or the CSA area, coordinating the CSA newsletter, bookkeeping and other record keeping. All apprentices are expected to participate as helpers in marketing endeavors, whether or not marketing is their primary interest. Produce income from the market cart and the CSA, combined with plant sales, covers roughly 25% of our operating costs of the program with tuition contributing another 25% of the total. Apprentices' labor in production and marketing contributes significantly to the costs of running the program and is therefore considered essential. One critical element of the Apprenticeship has been the immersion learning made possible by a full-time residential program. Apprentices are given the option of living at the Farm (free of charge) in one of nine four-room tent cabins. Apprentices share the Farm Center kitchen and dining room, library, bathrooms and solar showers. Group food supplies are purchased in bulk at a cost of about $110/month per person. The weekday group meals are vegetarian, but apprentices can prepare their own meat in the kitchen. Participation in group meals is optional. The Apprenticeship community that forms each year shapes a big part of people's experience. For this reason, apprentices should understand that a fair amount of their time and energy will be invested into community life. Though the Apprenticeship is not an intentional community in the formal sense, maintaining it is a communal effort. With up to 48 people living on the Farm, cooperation and communication are extremely vital to the daily coordination of work and domestic tasks. All apprentices take part in cooking, cleaning, and other domestic responsibilities. Outside of these basic community responsibilities and community meetings, apprentices can choose whether or not they wish to participate in social aspects of the community. Due to organizational and space constraints, children, spouses, and significant others may not live on the Farm. Pets are not allowed on campus. Since the Farm & Garden are first and foremost public facilities, courtesy toward the visiting public by residents is essential. The course fee for the 2020 Apprenticeship will be $6,000. Please note that full and partial scholarships are available (see below), and the program accepts AmeriCorps funding to cover course fees. See the next section for details and links to scholarship application forms. Upon arrival, apprentices purchase a set of their own tools and books for $375, which they keep after completing the program. Other expenses include food costs of approximately $110/month; UCSC parking permit costs of about $55/month (if you bring a car); personal health insurance; and personal spending money. The Apprenticeship Program is operated by the Center for Agroecology and Sustainable Food Systems (CASFS). CASFS is not elibigle to offer any work-study, loan programs, or financial aid. Through grant and gift funding, we are able to offer a range of scholarships to help cover the part or all of the cost of the course fees for some Apprenticeship participants. The scholarships can range from $1,000 to the full course fee amount, for U.S. applicants who meet one or more of the course fee criteria. Please see the Scholarship Opportunities page for details. All scholarship application forms can be found on the How to Apply page. AmeriCorps vouchers may also be used to cover course fee costs. The UCSC Center for Agroecology & Sustainable Food Systems will award a Certificate in Ecological Horticulture following successful completion of the Apprenticeship. Whether or not another academic institution recognizes the certificate program for credit depends on that institution. Please note: Through 2015, the Apprenticeship was operated in conjunction with UCSC Extension. In order to minimize course fees, the apprenticeship now operates independently as a practical training program for adults through the UCSC Center for Agroecology & Sustainable Food Systems (CASFS). As such, apprentices receive a certificate upon successful completion of the program, but do not receive university or extension credits. Although the Apprenticeship is housed at UCSC, apprentices do not pay regular student fees to UCSC, and thus have limited access to campus facilities and services. Services such as use of the recreation center and on-campus parking are available at additional costs. As part of UCSC’s Center for Agroecology and Sustainable Food Systems, apprentices are required to follow University policies. During the program apprentices are required to have their own personal health insurance. Anyone bringing a vehicle must purchase a parking permit. We encourage prospective apprentices to visit the program, attend an Apprenticeship Orientation Tour for potential applicants, and volunteer for a harvest morning (Tuesdays and Fridays; see more information, below). The Apprenticeship Orientation Tour is offered on alternate Thursdays at 1 pm, starting in mid July through late September. In 2019, tours will take place on July 11, July 25, August 8, August 22, September 12, and September 26. These hour-long orientation sessions begin at the Farm's Gatehouse (front entrance) and include a walking tour of the site. No reservations are needed. Click here for directions to the UCSC Farm and the Alan Chadwick Garden. Note that in 2019, our break week is July 29 – August 2, so there will be no tours or volunteer help with harvesting that week. Weekday visitors with cars need to purchase a parking permit ($9.00) at the base of campus. Please allow an extra 30-45 minutes from when you reach the campus to get your parking permit, park, and walk up the dirt road to the Gatehouse. To volunteer and work alongside us, you can join us on a Tuesday or Friday morning from 8:00 am to 10:30 am, July through September. Tuesday and Friday mornings give you the best opportunities to meet the most people, and are an established part of our schedule. 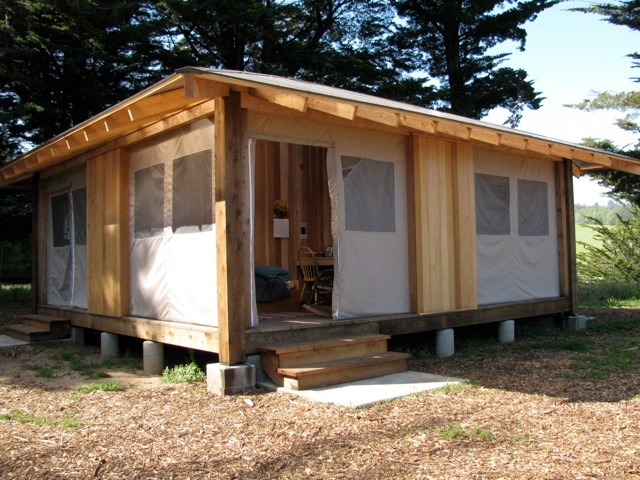 For information on overnight lodging or camping in the Santa Cruz area, please contact the Santa Cruz Chamber of Commerce at 866.827-2466, or see their web site. Each year we have 35-40 apprentice positions and typically we receive three times that many applications. To ensure your chance of full consideration, please be sure to read the section below carefully and follow the guidelines listed in the "How to Apply" section, below. The goal of our program is to train future organic farmers, gardeners, teachers, and community leaders. Therefore, in our selection process we strive to choose the individuals who seem most prepared to maximize their training and to then use it for their work, to start their own operations, and/or to teach others. In choosing individuals who will live and work together for 6 months, we are in effect creating a community. Out of the pool of applicants, we attempt to achieve a balance of interests, geographical and cultural origins, ages, and gender. Consequently, there is no one "preferred" type of applicant. We carefully consider each application in relationship to the entire pool of applicants. While the people selected share a strong interest in organic farming/gardening and social justice, they come from diverse backgrounds. That said, the selection committee looks highly upon applicants who demonstrate thoughtful consideration of what this program offers and the degree to which it fits their long-term learning/professional objectives. Again, we encourage applicants to attend the Apprenticeship Orientation Tour and volunteer alongside us. We feel this gives applicants a better understanding of the hands-on, rigorous nature of the program along with the reality of the living scenario here. The instructor's obvious love of the work inspires me to grow food at whatever level I might find myself. Thanks for your candor, laughter, lightness, and depth. See the How to Apply page for application details, application and scholarshp forms, and deadlines. Note: The application period for the 2019 Apprenticeship program, which starts in April 2019, is now closed. Please note: Foreign language international participants must demonstrate adequate English-speaking and comprehension skills. This is determined by passing the TOEFL exam with a score of 450 or better. TOEFL score reports are due with the application.